Design and implement a data structure for Least Recently Used (LRU) cache. It should support the following operations: get and put. get(key) - Get the value (will always be positive) of the key if the key exists in the cache, otherwise return -1. put(key, value) - Set or insert the value if the key is not already present. When the cache reached its capacity, it should invalidate the least recently used item before inserting a new item. Follow up: Could you do both operations in O(1) time complexity? Design and implement a data structure for Least Frequently Used (LFU) cache. It should support the following operations: get and put. get(key) - Get the value (will always be positive) of the key if the key exists in the cache, otherwise return -1. put(key, value) - Set or insert the value if the key is not already present. When the cache reaches its capacity, it should invalidate the least frequently used item before inserting a new item. 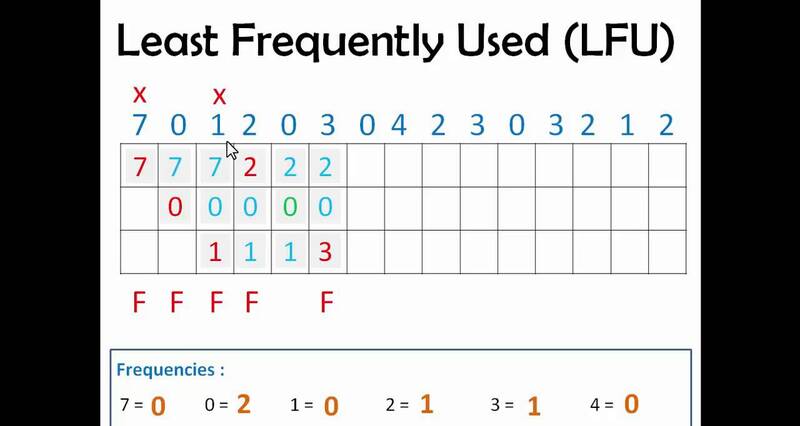 For the purpose of this problem, when there is a tie (i.e., two or more keys that have the same frequency), the least recently used key would be evicted. cache.put(4, 4); // evicts key 1.